I see myself as a patient person with impatience swings. Or perhaps it’s the other way around, if I’m realistic. I am so very patient with animals and children! I am so very impatient with everything else, with a particular low to stupidity! But anyways, that wasn’t why I started this post. I wanted to talk about my patience attributes (or lack of), because I bought this really good curvy clutch pattern from Keyka Lou‘s Etsy shop just before I went on holiday (again, a story for another post) and this posed a problem – I just had to try it out immediately! Of course this means imperfections – there is only so much multi-tasking a girl can do! – the packing for the holiday could have been better and so could the wee clutch, but I love it anyway! 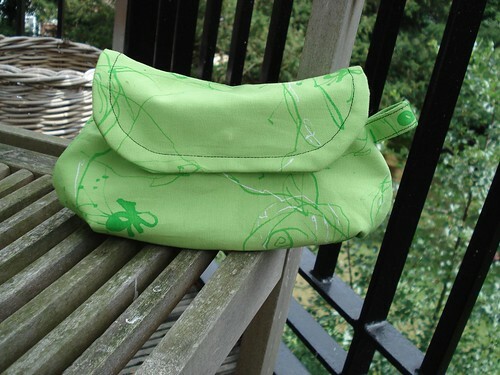 I used the leftovers of this bag due to a combination of factors, really – I love this green (so happy! ), it was just about the right size, and I wanted to use it on a good project. For my next clutch, I’ll definitely use the suggested invisible lining (will make it more sturdy), enlarge the pattern a bit (I travel light, but this is still a bit too small) and give myself a quiet time to enjoy the sewing (although multi-tasking is so much fun!). Step 4 Search for the guys in the surfaces. You kitchen remodeling can get oak kitchen cabinets when doing home improvement. Of course, once you have located them. The cabinets made one above the other can also be used whenever organizing cupboards garage. sich auch Ihr Geist und hilft Ihnen, sich mehr auf Ihren Alltag zu konzentrieren. Gesundheit ist ein hohes Gut, das es zu schützen, zu erhalten und wo nötig wiederherzustellen gilt. Der Tee muss eine halbe Stunde in heißem Wasser ziehen und entfaltet anschließend einen erfrischenden Geschmack. und Versagen in Deinem Leben erfahren. Außerdem stehen PCB in Verdacht krebserregend zu sein und unfruchtbar zu machen. den Arterienhochdruck bis zu 15 % senken.